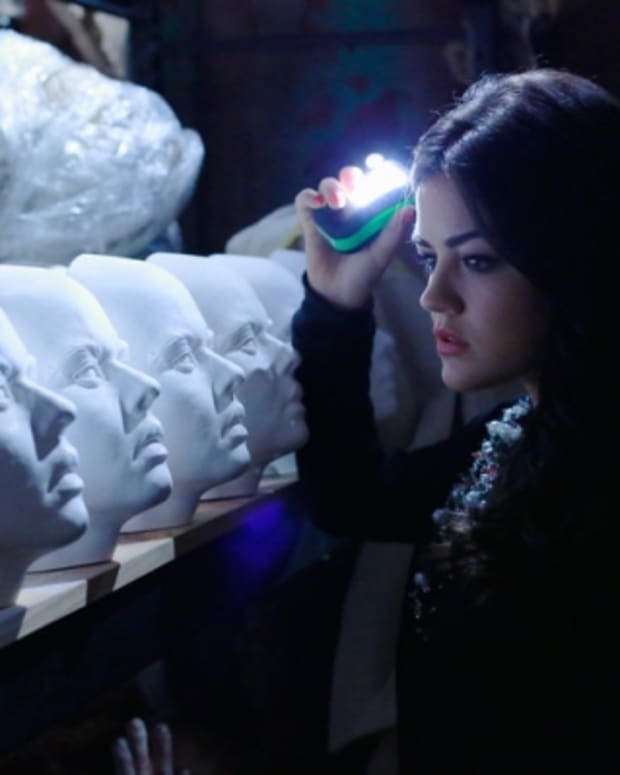 Aria (Lucy Hale) followed the Philadelphia lead, which led her to CeCe’s roommate. Apparently, the roommate knew all about Alison and the Liars because CeCe hated them. She blamed the girls for getting her kicked out of college, when a girl got pushed down a flight of stairs at a frat party. They’d all been there, but the Liars never realized Alison had pushed the girl. 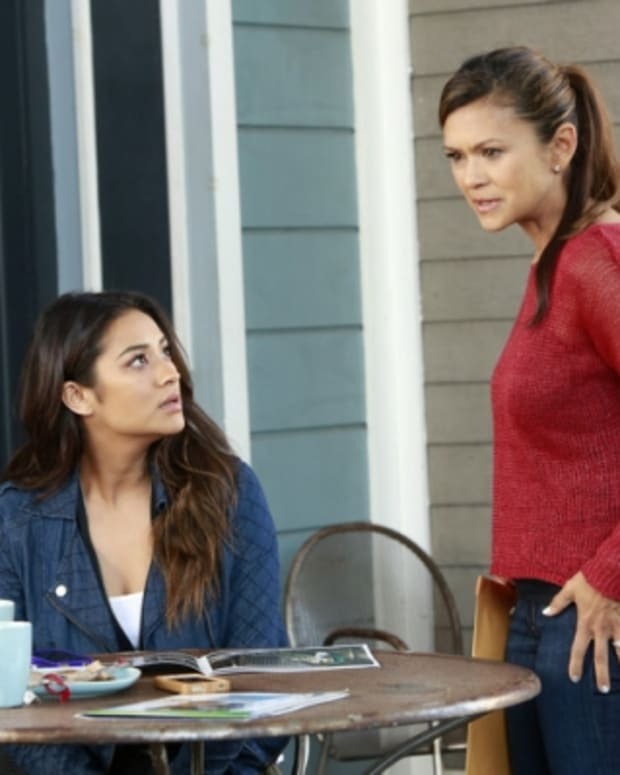 Emily (Shay Mitchell) moved in with Mrs. DiLaurentis while her house was still under repair. They bonded over the loss of Alison, and Mrs. DiLaurentis revealed she’d actually shipped the girls, since Emily was so sweet and had the crush. An Alison flashback revealed just how toxic the CeCe-Alison friendship was. They used to impersonate the other and do messed up things. It was CeCe who visited and creeped out Dr. Palmer, and all their shenanigans ended in Mrs. D forbidding Alison from seeing CeCe. Emily and Mrs. DiLaurentis also found out about someone/Red Coat hiding under the house and spying on them. This further creeped out Emily, who’d already been stuck living in her dead bestie’s eerily-preserved bedroom. Mona was back at Radley, and dreamy Dr. Wren was back as her physician. However, it turned out Wren was likely a member of Team A. I wanted to call b.s., but it’s probably true since every recurring cast member on the show turns out to be part of the nefarious A team! Wren cozied back up to Spencer (Torian Bellisario), and manipulated Mrs. Hastings into a confrontation with Mona. This got Mrs. Hastings accused of forcing Mona to confess, which made her have to resign as Ashley’s legal counsel. 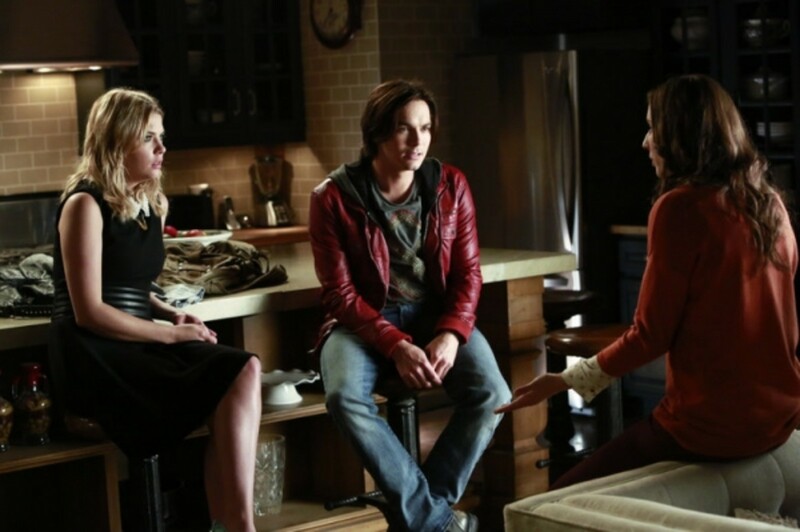 Hanna (Ashley Benson) was livid when she found out her mother’s shot at acquittal was even further diminished. Elsewhere, Ezra found out Malcolm wasn’t really his son. He was devastated, but excited to resume his relationship with Aria. However, it appeared she had moved on with new bf Jake. When Ezra called to tell her the news, she rejected the call to focus on her date. Don’t get me wrong, I’m glad Ezra was (*Maury voice*) NOT the father, but I just wish this pointless storyline never existed in the first place. Hopefully, it can never be mentioned again and all the characters forget.